the war began with the geopolitical equivalent of a bush fire. In late June Archduke Franz Ferdinand, inspector-general of the Austro-Hungarian army, travelled to Bosnia, which Austria had annexed in 1908. While driving through Sarajevo, he was shot dead by an assassin sponsored by the Bland Hand, a group devoted to unifying Serbia and Bosnia. On July 28, Austria stunned the world by declaring war on Serbia. And the treasures continue: Lusitania is the first real case when submarines are used at war. Who had this idea? Sir Arthur Conan Doyle (yes, of the Sherlock Holmes fame) who wrote a short story, describing exactly what was to happen shortly afterwards. Life imitating art, over and over again! However, this is not a book on war only. It's a book also on people, politics, entrapments, conspiracies. It's the story of Captain Turner, who apart from being a remarkable professional was also a remarkable person. Who happened to get entangled in one of the worst scenarios that would see him disregard the Admiralty's directives, not keeping a mid-channel course, that ended in the sinking of the Lusitania. 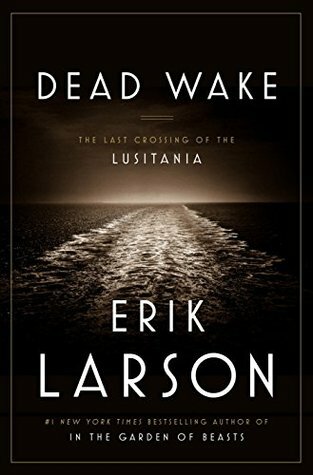 And then found himself being tried for murder... Long story short, based on information that became available much later (...), it appears that the British Government (under Churchill) had plotted to endanger the Lusitania in order to involve the United States in the war. I've also listen to it recently. I honestly could have done without knowing about President Wilson's love affair. There's no connection to the story there (so he was distracted in one press conference, big deal! ).